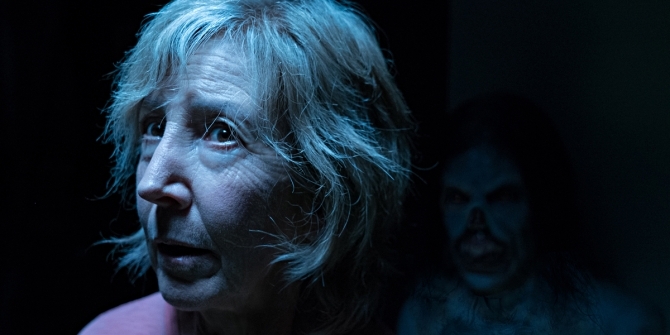 From one horror series to the next, Insidious actress Lin Shaye has signed on for The Grudge reboot over at Sony. Variety has the scoop, revealing that the 74-year-old scream queen, who has dabbled in the Amityville and Nightmare on Elm Street franchises over the years, now joins a cast comprised of Andrea Riseborough, John Cho and Demian Bichir, who is perhaps best known for his recent turn in Ridley Scott’s prequel-sequel, Alien: Covenant. As for when The Grudge is expected to go before the cameras, Variety’s report indicates that a May start date is the current target, which tells us that Nicolas Pesce and Co. may be ready to summon their hellish apparition by the early stages of 2019. The only other horror/thriller movies of note that have slated for a similar corridor are Hellboy and M. Night Shyamalan’s Glass – so far, at least – so it’ll be interesting to see how this situation unfolds.